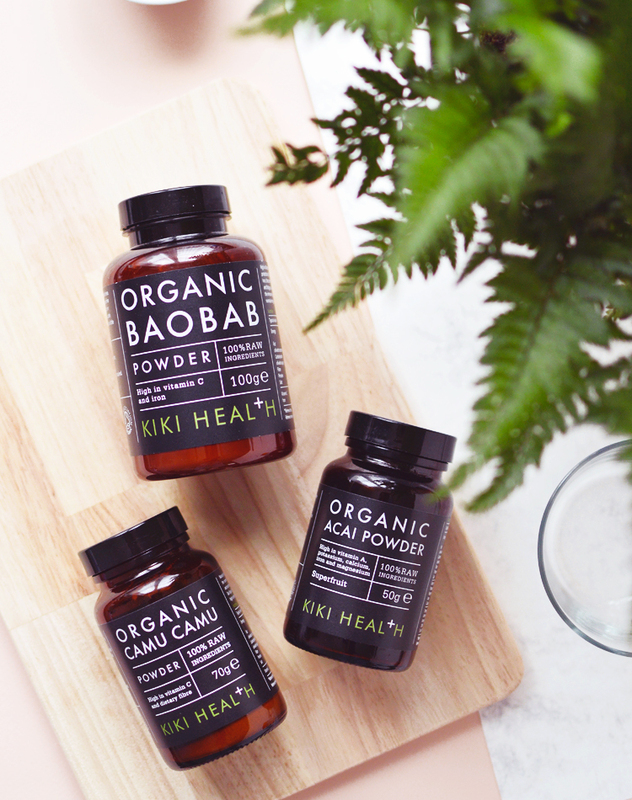 KIKI Health Baobab, Acai & Camu Camu Powders. If you have been reading this blog for a long time, you'll probably know I'm quite a sucker for a good superfood. 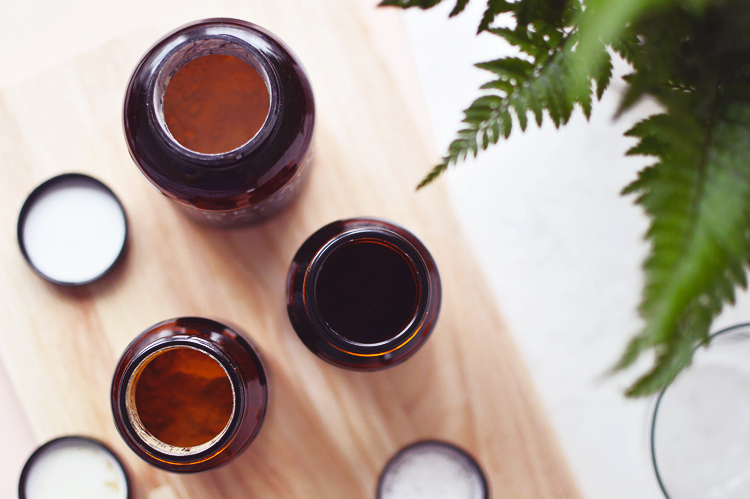 It started a couple of years ago now when my skin was really awful, I would try anything for a little relief in the spot department, at the same time the health food craze blew up and I discovered superfoods. Clearly it was meant to be. If you read my recent post on the KIKI Health Magnesium spray, I wrote that I also picked up some of their superfoods too and would review them! well, today is that day. You lucky ducks. KIKI Health sell a whole host of superfoods, probiotics and health supplements, including coconut oil, obviously... I mean, is a health brand even really a health brand without coconut oil?! The most common and affordable of the bunch, this citrus-y powder is meant to be high in vitamin C, Iron and fibre, and is a good energy booster. Like all superfood powders I add this into my smoothies and thankfully the flavour doesn't mess with any of my favourite combinations. This is a great little addition to boost the nutrient content of smoothies, added to cakes and muffins before baking, or whipped up with banana ice cream. I also think it would be good to add this into some hot water and lemon if you feel a cold coming on. Camu Camu blows Baobab out of the water when it comes to vitamin C content. This fruit powder is highly prized for the crazy high vitamin C amounts. Whilst orange juice contains about 50mg of vitamin C per 100g, fresh camu camu fruit can contain up to 2,200mgs! And since drying fruit concentrates the nutrients, dried camu camu contains even more. This powder from Kiki Health states it contains 6068mg per 100g! You can use camu camu in all the same ways that I listed above for baobab, but I also like using this as an added ingredient to face masks. I use about 1/4 of a teaspoon mixed with a powder face mask and add water. The camu camu gives a big hit of vitamin C that is hard to replicate in skincare, as vitamin C is very unstable in liquid form. This popular purple fruit is pretty much the reason highly decorated smoothie bowls exist. I can even get frozen acai pulp in my local tesco's now - and I live in the middle of nowhere! Acai berries are full of vitamin A, potassium, magnesium, calcium and iron. Though, not enough to stop taking a multivitamin or anything like that. I decided to pick up some acai powder because the deep purple colour (like all purple fruit and veg) means it's high in antioxidants and so very good for skin health! I add nearly a full teaspoon to my smoothies, add mixed frozen berries, spinach and a banana and bobs your uncle, the most beautiful purple smoothie you ever did see, and if drinking something that naturally vibrant isn't good for you, then I don't know what is! Are you into your superfoods? Check out the rest of the Kiki Health range, here.